Through the course of our hobby years we meet a variety of people who inspire and encourage our own efforts. I met Jim Kubanick a number of years ago when he moved to Morgantown, WV. He became a member of the model railroad club where I was a member at that time. We share an affinity for the common and uncommon freight car, and the history of freight cars. Jim has built a number of fine models and he has shared tips and data as I progress in building the many kits in my stash. As I am still getting settled after the move to Texas, Jim will guest on this post and share some of his models and notes. Jim works in HO scale and concentrates his efforts on the early-to-mid 1950s. 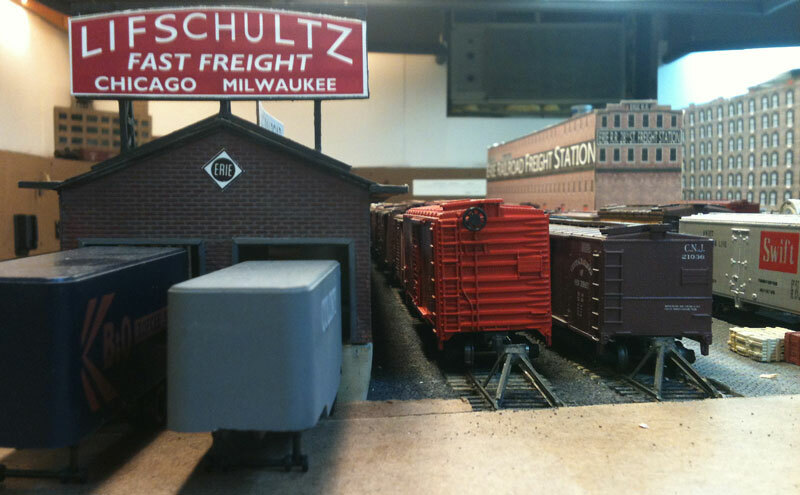 Author Eric HansmannPosted on July 22, 2012 March 6, 2014 Categories Freight Car Models, Virtual RPM MeetTags freight cars, resin freight car kits3 Comments on Another guest post! Our time has come to a close here in the mid-Hudson Valley region. My wife and I have said goodbyes to friends and made our rounds to our favorite places. I’ve spent many hours over the last four weeks packing up the household and hobby goods in preparation for our move to El Paso, Texas. It will take at least a month to settle in and survey the hobby possibilities of the new home. I have a few ideas but cannot push forward without being on site. I have some blog posts to release here over the course of the next month, so new content will be posted to keep this from falling dormant. Here’s one last look at the New York hobby room before all the modular drawer units are wrapped up with plastic wrap. While packing I was surprised to find a large number of freight cars that are built, detailed, weathered and ready for use. There were also a couple dozen built freight car kits that need to be painted, lettered and weathered. I had forgotten about many of these cars and am happy that a layout ready fleet will be on hand in the new home. These cars will serve as ready inspiration to get wheels rolling along the rails in the next year. I welcome your comments and questions. Please leave a comment below. All comments are reviewed and approved before they appear here. 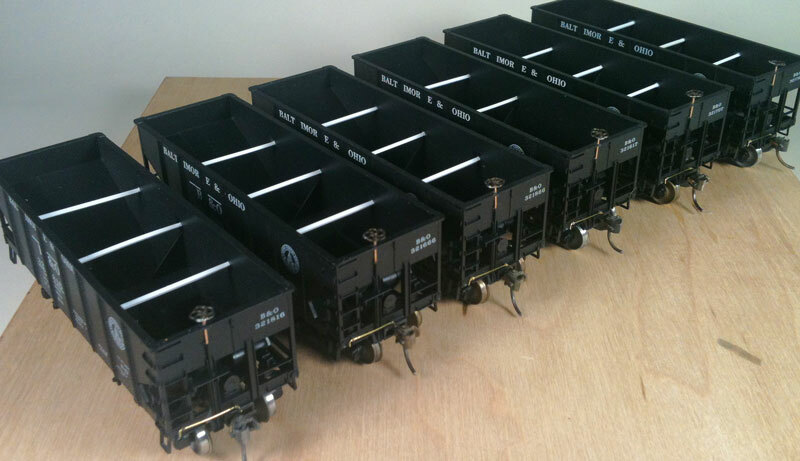 Author Eric HansmannPosted on June 21, 2012 March 23, 2014 Categories Freight Car Models, ResearchTags freight cars, PrototypeLeave a comment on More Hopper Madness!